The 15-year-old girl with her mother. 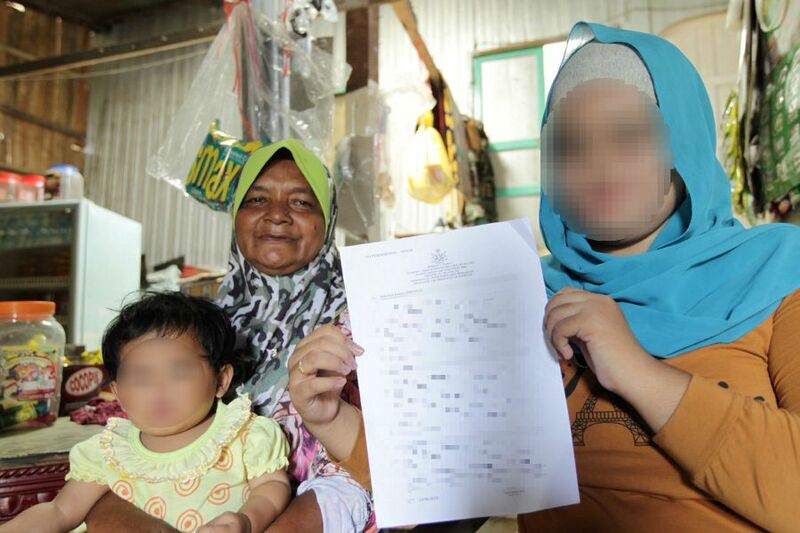 New Straits Times reported that the 15-year-old girl married a 44-year-old People's Volunteer Corp (Rela) member in July with approval of the Syariah Court. She is the second wife of the Rela member, who is a father of two. The 'akad nikah' (solemnisation of vows) took place at the Kampung Laut Mosque in Tumpat, Kelantan. "Her (12) siblings are all married and now have their own lives. 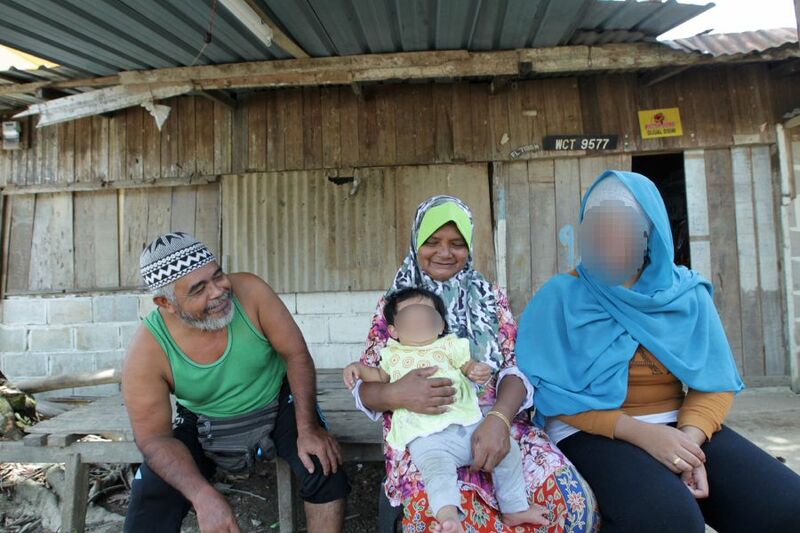 We know that she is underage, but we only want the best for her," said the girl's father, Che Rahim Che Deraman. Che Rahim operates a sundry shop with his wife, Mariam Hassan in front of the family home. They make about RM200 to RM300 a month. "We want our children to live a more comfortable life, and this includes our youngest daughter," Che Rahim added. The girl (far right) with her parents. Che Rahim said he was introduced to the 44-year-old Rela member a few months ago by one of his sons. The couple also claimed to have consented to the marriage after they were convinced that the Rela member could make their youngest daughter happy. "Even though he (Rela member) is married with two children, he applied for polygamy status from the courts and was granted permission," Che Rahim added. "Honestly, I don't mind what people say about me. The most important thing is that I'm happy with my husband and I will try to make him happy for the rest of my life," the 15-year-old girl was quoted as saying by New Straits Times.